The current political climate, at both state and national levels, has highlighted the close connection between politics, pride and emotion. In an outward sense, every politician is constantly striving to build credibility, prestige and influence by highlighting his or her abilities and positions while connecting with the values and emotions of the audience. In an inward sense, even as they are promoting themselves, these politicians are simultaneously striving not to be overpowered by their own pride and emotions. When they balance these dynamics well, they gain credibility. When they fail to master their pride and emotions, they lose ground. However they score, every politician—as well as you and I—would do well to study and imitate Abraham Lincoln’s remarkable ability to manage his pride and his emotions. This ability enabled him to relate to others with extraordinary humility and discipline, which are two of the key attributes of relational wisdom. As Doris Kearns Goodwin points out in Team of Rivals: The Political Genius of Abraham Lincoln, Lincoln manifested these relational qualities from the beginning of his career. Humility also kept Lincoln from feeling threatened when others gained the spotlight. When General Ulysses Grant arrived in Washington in 1864 to take command of the Union armies, he was treated as a conquering hero at a White House reception … while Lincoln stood quietly to one side, yielding the place of honor he could have legitimately claimed. Like few men the world has ever known, Lincoln proved that a leader’s first and most important victory must always be over his own pride. This victory was secured largely by his ability to manage his emotions. Later in Lincoln’s administration, when Treasury Secretary Salmon Chase launched a bid to win the Republican nomination for President in 1864, Lincoln felt deeply betrayed. But rather than reacting in anger, he wisely restrained himself, even when his competitor continued to extol his own virtues at the President’s expense. Discipline and keen insight had once again served Lincoln most effectively. By regulating his emotions and resisting the impulse to strike back at Chase when the circular first become known, he gained time for his friends to mobilize the massive latent support for his candidacy. Chase’s aspirations were crushed without Lincoln’s direct intrusion…. 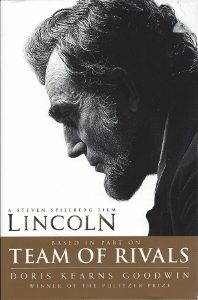 Lincoln’s ability to retain his emotional balance in such difficult situations was rooted in acute self-awareness and enormous capacity to dispel anxiety in constructive ways. Self-awareness (humility), which is the ability to honestly discern your own emotions, interests, values, strengths, and weaknesses. Self-engagement (discipline), which is the ability to manage your thoughts, emotions, words, and actions so that they advance God’s purposes. The greatness of Napoleon, Caesar or Washington is only moonlight by the sun of Lincoln. His example is universal and will last thousands of years…. He was bigger than his country—bigger than all the Presidents together … and as a great character he will live as long as the world lives. Humility and the ability to manage one’s emotions: these are the qualities we should pray for not only in our political leaders … but also in ourselves. When do you have the greatest difficulty controlling your pride and emotions? What is it that you desire or fear that makes you vulnerable to losing control? Think of people who model humility and self-control. Describe a situation in which they displayed these qualities. Why does emotion play such a strong role in politics? (see these articles on Emotional Intelligence in Politics and Diplomacy). 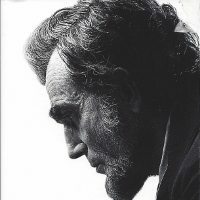 7 Responses to "Lincoln’s Relational Wisdom"
Do you have any posts relating to this statement: “This victory was secured largely by his ability to manage his emotions.” I’d like to learn how to not let my emotions interfere with my relationships. Thank you for your interest in learning more about managing emotions. A starting point would be to go to the front page of our website and click on the blog topics of “emotion” and “hijacking,” and read some of those posts. For even greater progress, I encourage you to take advantage of our online course at https://Academy.rw360.org. You are most welcome, Allen! Thank you for your ministry of relational wisdom! 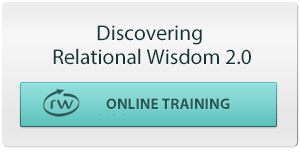 I am currently a part of a community group that is moving through your series, and I am now better able to recognize the many tangible applications of relational wisdom both in my personal and professional life. As a school leader, I find myself considering in the ways that relational wisdom can facilitate the work of educators in schools. It is my firm belief that while facilities and programs are integral aspects of school life, it is ultimately people that breathe life into an organization. I often find myself navigating an intricate and fragile web of interpersonal relationships that involve myriad constituents – teachers, parents, administrators, and students – and their concomitantly varied interests and needs. I would appreciate your wisdom and insight regarding the application of your work adapted for a secular work environment such as a school. Were you even able to spare some time, I would greatly welcome a conversation. Thank you, and I look forward to hearing back from you. I would be happy to talk with you, James. Please suggest three times that work for you next week, specifying your time zone. Thank you for a fabulous article. Carl Sandburg’s timeless biography of Lincoln illustrates everything you discuss in beautiful and engaging prose. Lincoln was always personally a hero to me, but now I feel intimately acquainted with the man, and he is to me an unseen mentor. I look forward to learning more about your ministry!